Master William Kwok is an awardee of the United States President’s Council on Sports, Fitness & Nutrition, a former college professor, and an internationally recognized martial arts educator; his experience has earned him high accolades that demonstrate his dedication to enhancing the lives of others in the American public as well as to the Chinese community and Western society. Master Kwok was raised in Hong Kong and began martial arts training in 1978. He is Grandmaster WAN's first Inner Disciple that has both completed the martial art system and taught professionally outside of Hong Kong. He is also the first Regional Director and official instructor of Wan Kam Leung Practical Wing Chun Kung Fu in America. In 2007, Master Kwok established Gotham Martial Arts in New York City. Ever since, Master Kwok has been profiled in numerous newspapers, periodicals and television networks. He has also served as a guest speaker on martial arts topics at prestigious universities and multinational corporations such as Harvard University and Hong Kong University of Science and Technology, and JP Morgan Chase. Master Kwok comes from a strong academic background, and as of 2017 is currently pursuing a Doctor of Education degree at Northeastern University. Prior to that, he earned postgraduate degrees from Harvard University and St. John's University. He also studied movement science at Teachers College, Columbia University. Master Kwok stresses the importance of martial virtues through his teachings in martial arts to both children and adults. Martial virtues refer to development of sound mind and body, high ethical standards, and kindness. These virtues stem from principles formed in traditional Chinese culture and were not only important for martial arts practice, but in many communities, they were used as the basis for society. In today's modern era of martial arts, Master Kwok strongly feels that it is important to remember these traditional roots of martial arts and always integrate them within our practice. The concept of basing communities on the principles within martial virtues, such as courtesy, integrity, perseverance, self-control, and indomitable spirit, helps create an atmosphere that deters violence and promotes peace. 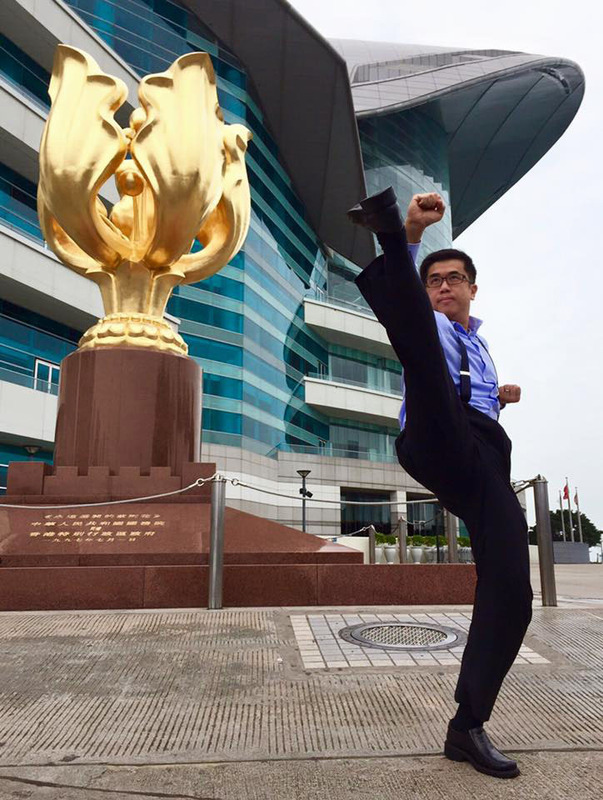 Most recently, Master Kwok founded Martial Arts Education Society (MAES), a non-profit and volunteer organization devoted to spreading awareness of the martial arts by educating people in the discipline, philosophy, history, and culture of the martial arts. Master Kwok periodically teaches at Practical Wing Chun New Jersey.